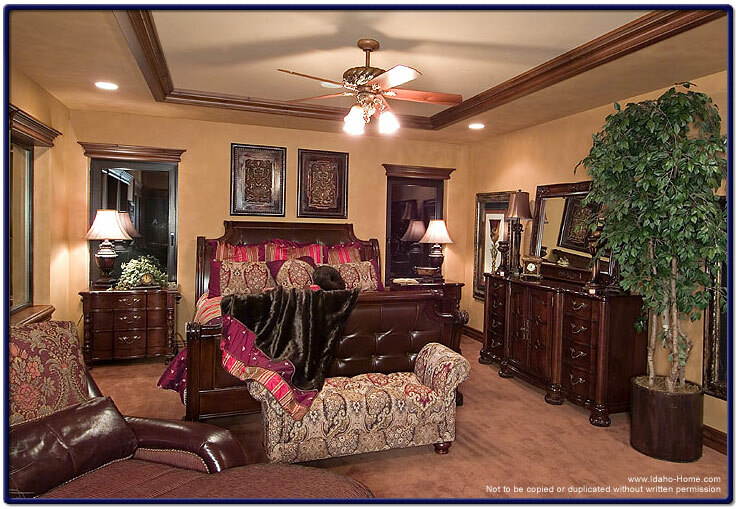 The decor of this master bedroom is enriched by the soft earth tones of the walls, ceilings and carpet. The deep rich furniture further enhances the Mediterranean style of the room. Adding deep reds and burgundies colors to the bed sheets and the intricate designs of upholstery gave it the added Mediterranean glow.